This little wonder takes first place in my daily routine, it works it’s 2 in 1 magic giving me more time to spend watching Friends before bed. Paired with the Kiko Pure Clean Water, the Milk & Tone Lotion acts as both a cleansing milk and toner, removing skins impurities and leaving behind freshly toned skin. Not only is it efficient, but also peach scented, and therefore a treat to my skin overnight. 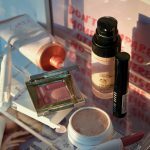 If you’re a Kiko Milano newbie, you can try and test multiple skincare products by purchasing travel size to ensure you love the product before committing to full size. 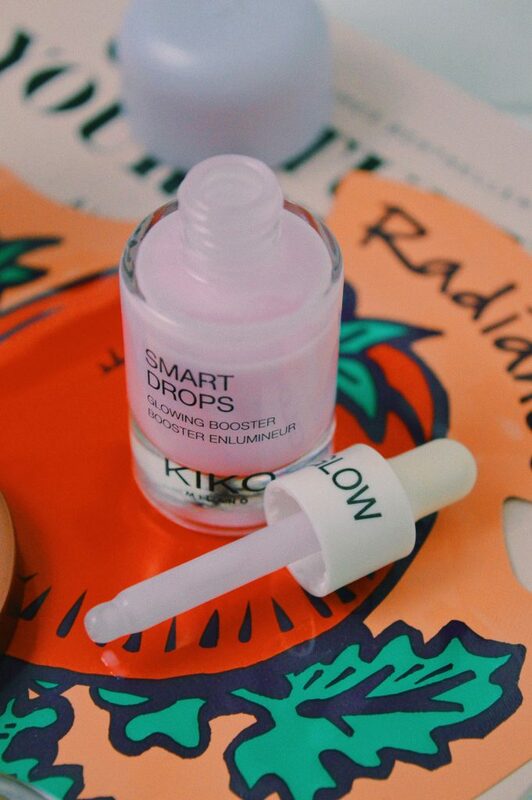 Another product I couldn’t resist whilst browsing through the Kiko store on Princess St was the Smart Glow drops. Out of the 3 in the range, the Glow Drops stood out to me most for its promise of moisturised and illuminated skin. Something very sought after by my skin during the upcoming months. Containing blueberry seed oil, the smart drops are a perfect addition to my skincare routine in the morning and night for radiant skin, with no fuss and quick absorption. 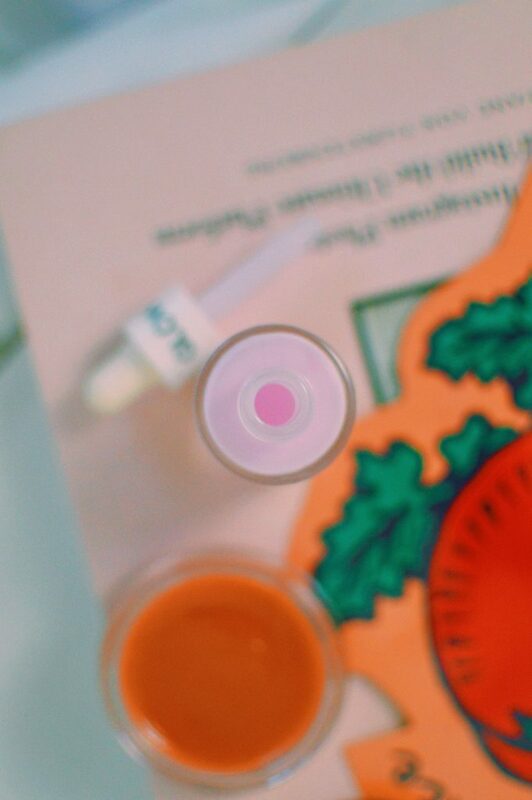 I’d skip this step if I couldn’t see results but this little purple bottle is a wonder in my skincare routine. 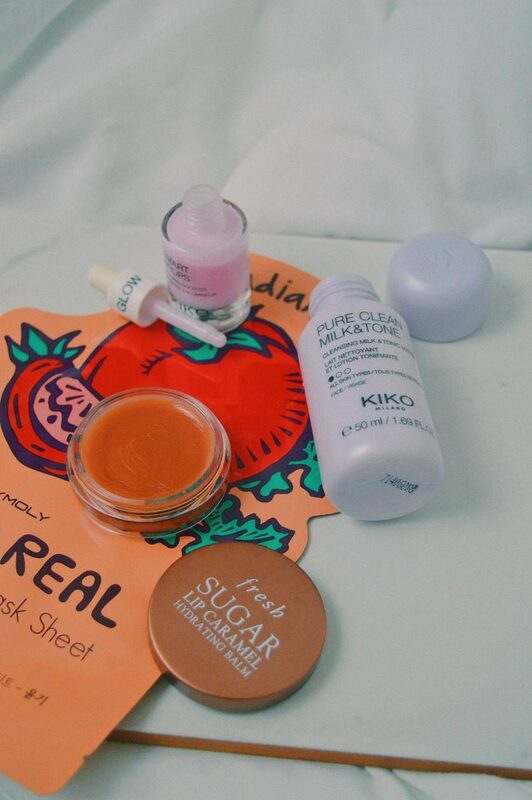 Jumping off the Kiko Milano bandwagon and on to another brand I’ve been loving recently. 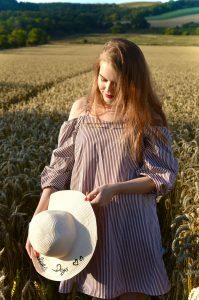 Tony Moly is an american brand so it’s a lot trickier to get your hands on the amazing products here in the UK. 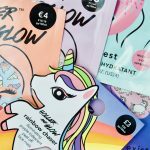 (a lot like bath and body works) However, I discovered a stash of Tony Moly masks in my local TK Maxx so stocked up my sheet mask collection with a bunch of pamper-day editions. 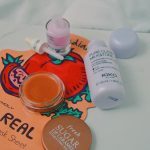 The I’m Real Tomato Sheet Mask has been a favourite of mine so far, once again resulting in radiant and glowing skin after 20 minutes of dreamy relaxation. 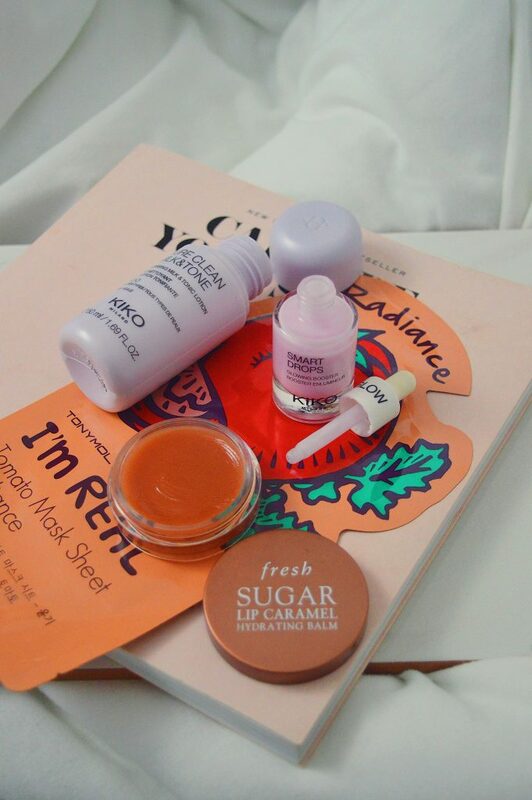 These little wonders are a perfect weekly treat, so look out for them in your next TK Maxx browse. You may even spy a few Festive masks! 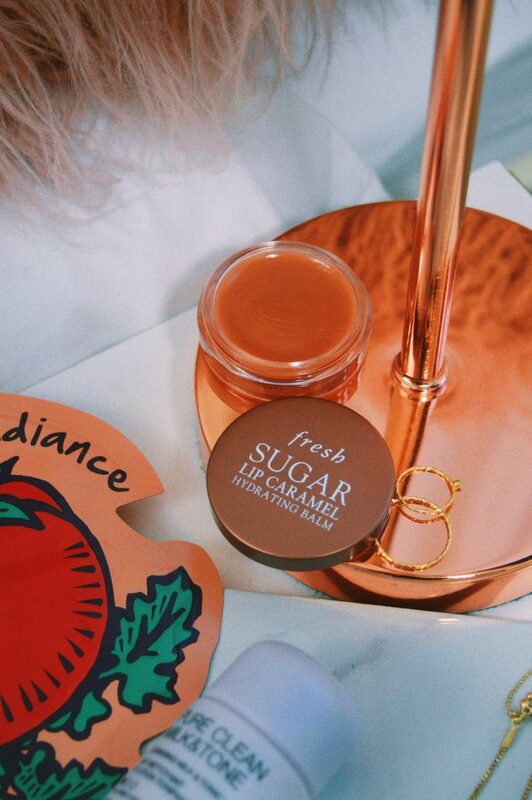 The last of the 4 favourites of mine is the Fresh Sugar Caramel Lip balm which I picked up on my recent trip to Sephora. 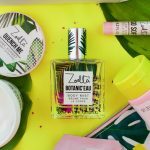 The scent alone was enough to lure me in to buying it, the sweet caramel smell wins me over on every application and gravitates me towards anything sugary! In addition to the scent, the actual product is worth the price tag, making me feel not so guilty for buying a lip balm 15x the price of a vaseline tin. 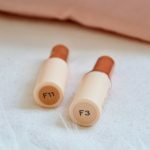 It’s my go-to for hydrated lips and never fails to disappoint, I can’t get enough of this product! What skincare bits do you love? That lip balm looks amazing! I may need to buy that 😂😂 great post! I love Tony Moly! I haven’t tried the sheet masks yet. And I’m going to look around for the Kiko Milani – I haven’t ever heard of it. Thank you for the great reviews!